That thump-thump you can hear isn’t the sound of my heart beating; that’s the heavy synth soundtrack to Cyberpunk 2077 blasting through the walls to celebrate the fact that it’s been confirmed we’ll be getting our hands on CD Projekt Red’s dystopian urban RPG. According to the CD Projekt Red forums moderator Donata Popławska confirmed that “as far as the strategy of the CD Projekt Capital Group for 2016-2021 is concerned, its plans to release the second AAA game by 2021 remain unchanged. We are currently focusing on the production and promotion of Cyberpunk, so we do not want to comment on further projects” (you can view the translation here). Wow. In about two years’ time we’ll all be exploring Night City and turning our very own flesh and bone into high-tech killing machines. 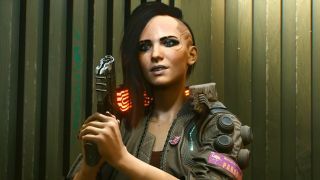 The gameplay demo from E3 2018 sure looked polished, so we might not even have to wait until 2021 to play Cyberpunk 2077, as it might be further along that we think. Plus there’s another unannounced game coming out by 2021 too, and CD Projekt Red is stoically staying quiet on that topic, so no word whether that’s The Witcher 4 or a brand new IP. Whatever it is, I’d be surprised if it wasn’t a RPG as that’s clearly CD Projekt Red’s strong point...and to be honest, the chance to run around in another one of their worlds is enthralling enough to keep me (semi) patient until 2021. If you want more RPG goodness, here’s the best RPG games to play right now, or watch the video below to see a whole 48 minutes of Cyberpunk 2077 gameplay!